Below is a press release from Southern California Edison, courtesy Jennifer Manfre, Senior Manager, Media Relations for SCE. This release concerns an ongoing investigation into discrepancies found with one of the EDG or Emergency Diesel Generator units at San Onofre Nuclear Generating Station, Unit 3. ROSEMEAD, Calif. (Nov. 29, 2012) — During routine monitoring in late October, San Onofre Nuclear Generating Station (SONGS) personnel detected engine coolant in an oil system on a backup emergency diesel generator in Unit 3. SONGS personnel notified the Nuclear Regulatory Commission (NRC) site inspector on Oct. 30 in compliance with all regulatory reporting requirements. Since Unit 3 is safely offline, defueled and not scheduled to restart in the near term, the presence of the coolant posed no safety risk. The diesel generator was out of service for routine maintenance activities when the discovery was made. On Nov. 27, Southern California Edison (SCE), the primary owner of SONGS, notified the NRC that an internal investigation found evidence of potential tampering as the cause of this abnormal condition. The evidence did not confirm that actual tampering occurred. The investigation of this potential security issue continues. The comprehensive investigation has included rigorous tests, a review of station logs and employee interviews to determine the cause of the presence of the residual engine coolant. Based on the unexpected discovery of the coolant in the diesel oil system and the ongoing investigation, security at the plant has been enhanced. “SCE is committed to the safety of the public and its employees and takes this matter very seriously,” said Pete Dietrich, senior vice president and chief nuclear officer of SONGS. SCE submitted technical information to the NRC on Oct. 4 in support of a proposed restart of Unit 2, which is also safely offline. The unit will not be restarted until all plans have been approved by the NRC. The Unit 3 restart was not included in that regulatory filing and remains shut down. Unit 2 remains shut down since it was taken out of service Jan. 9 for a planned outage. Unit 3 was safely taken offline Jan. 31 after station operators detected a leak in a steam generator tube. Press release from Southern California Edison, courtesy Jennifer Manfre, Senior Manager, Media Relations for SCE. ROSEMEAD, Calif., Nov. 27, 2012 — Online visitors to SONGScommunity.com can now take a virtual tour of the San Onofre Nuclear Generating Station, allowing them to explore inside the 2,200 megawatt nuclear power plant located near San Clemente, Calif.
Safety is the main focus during the online experience and key features including containment domes, the seawall and emergency diesel generators are explained through video and audio. The tour is available in English and Spanish. The virtual tour is part of ongoing efforts to inform and educate the public on the plant overall and specifically on the technical repair, corrective actions and proposal to safely restart and operate Unit 2. Engineers and community liaisons are also conducting open houses in several communities in the region and are available to speak to groups upon request. San Onofre is the largest source of baseload generation and voltage support in the region and is a critical asset in meeting California’s clean energy needs. Both units of the plant are currently safely shut down. Unit 2 was taken out of service Jan. 9 for a planned outage. Unit 3 was safely taken offline Jan. 31 after station operators detected a leak in a steam generator tube. Southern California Edison (SCE) submitted its response to the Nuclear Regulatory Commission’s (NRC) Confirmatory Action Letter on Oct. 4, along with its restart plan for Unit 2. The unit will not be restarted until all plans have been approved by the NRC. 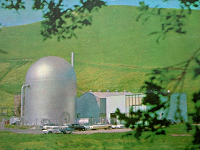 The San Onofre plant is jointly owned by SCE (78.21 percent), San Diego Gas & Electric (20 percent) and the city of Riverside (1.79 percent). PITTSBURGH, Nov. 20, 2012 – Westinghouse Electric Company today confirmed its interest in applying for a new funding opportunity to be issued by the United States Department of Energy (DOE) Office of Nuclear Energy in order to develop and license SMR technology. Upon successfully collaborating with the DOE in what would be a second phase of its investment program, the Westinghouse SMR would receive investment funds to accelerate the development and licensing of the passively safe design, which has the potential to provide an economic, secure source of emissions-free electricity generation to the world’s rapidly changing and diverse markets. “Working with Ameren Missouri, Burns & McDonnell, General Dynamics Electric Boat and the NexStart SMR Alliance, we will advance nuclear energy technology and economic development within the United States,” said Dr. Kate Jackson, chief technology officer and senior vice president, Westinghouse Research and Technology. 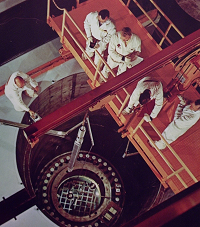 After successfully negotiating a cooperative agreement with the DOE and securing the investment funds, the Westinghouse SMR team, including the NexStart SMR Alliance, a consortium of current and prospective nuclear plant owners and operators; cooperative, municipal and investor-owned electric service providers; and, other public and private enterprises, would work collaboratively to execute a proposed project having an objective of receiving from the U.S. Nuclear Regulatory Commission (NRC) design certification of the Westinghouse SMR and then a combined construction and operating license for a Westinghouse SMR at Ameren Missouri's Callaway Energy Center. Additionally, the group will work to bring other economic development opportunities to the State of Missouri and elsewhere within the United States. Recently, nearly 300 potential suppliers attended a Westinghouse and Ameren Missouri-sponsored supplier summit in St. Louis. Industry sectors representing trades and union labor included constructors, machining, advanced manufacturing, control systems, design and engineering, heavy equipment, coatings, piping, tank and storage, large forgings, site prep, and balance of plant services. 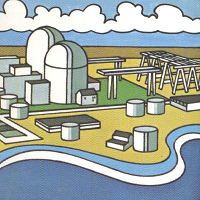 Certification from the U.S. NRC and currently being built in China and the U.S. Westinghouse believes that by building upon the concepts and advances in – technology achieved in the Westinghouse AP1000 reactor, the Westinghouse SMR design will provide licensing, construction and operational certainty that no other SMR supplier can match with competitive economics. Westinghouse Electric Company, a group company of Toshiba Corporation (TKY:6502), is the world's pioneering nuclear energy company and is a leading supplier of nuclear plant products and technologies to utilities throughout the world. Westinghouse supplied the world's first pressurized water reactor in 1957 in Shippingport, Pa. Today, Westinghouse technology is the basis for approximately one-half of the world's operating nuclear plants. Click here to see an EXCLUSIVE APR feature on the Generation mPower SMR design, with details and illustrations. I covered SMR plants during some sessions for the American Nuclear Society at its 2012 Winter Meeting. Click here for a brief article. 4 PM Update -- Press Release from Babcock & Wilcox below. (CHARLOTTE, N.C. – November 20, 2012) – The Babcock & Wilcox Company (B&W) (NYSE:BWC) announced today that it has been selected as the winner of the U.S. Department of Energy’s (DOE) competitively bid Small Modular Reactor (SMR) Licensing Technical Support Program. B&W will receive funding that will support accelerated development of its B&W mPowerTM SMR technology. In March 2012, the DOE issued a Funding Opportunity Announcement (FOA) to provide support to the American nuclear industry for SMR technology development and design certification. The funding program, expected to be administered over the next five years, is the cornerstone of a public-private partnership created to share the challenges of developing and deploying SMRs across the U.S. before 2022. SMRs offer the promise of expanding high-technology U.S. manufacturing jobs and exports, as well as maintaining America’s leadership role in global nuclear policy and security issues. As a result of this FOA announcement, B&W mPower has been selected by the DOE as the SMR technology provider for early deployment, and thereby delivering these program goals and benefits for the nation. B&W formed the mPower America project team with the Tennessee Valley Authority (TVA) and Bechtel to pursue an award under this program. The mPower America team and its members currently have nearly 400 employees working on the development and licensing of the B&W mPower SMR. The project will help to revitalize the U.S. commercial nuclear manufacturing infrastructure. B&W subsidiaries have executed 150 agreements with suppliers in 36 states to support the B&W mPower program. Once in the deployment stage, the mPower America project will create a significant number of new jobs at B&W manufacturing facilities and supplier facilities. “Restarting the nation’s nuclear industry and advancing small modular reactor technologies will help create new jobs and export opportunities for American workers and businesses, and ensure we continue to take an all-of-the-above approach to American energy production,” Chu said. TVA is preparing an application to the Nuclear Regulatory Commission to license up to four B&W mPower SMRs at its Clinch River Site in Oak Ridge, Tennessee. The B&W mPower SMR is designed to provide 180 megawatts of carbon-free electricity. It is based on advanced integral pressurized water reactor technology which incorporates robust, passive safety protection systems within a fully underground containment structure. The B&W mPower design philosophy maximizes the use of proven, mature systems and components within an innovative plant architecture to reduce licensing and construction risks. The unique, security-informed, underground reactor building significantly improves plant security, and largely mitigates potential environmental impact and the effects of external events. The Tennessee Valley Authority, a corporation owned by the U.S. government and provides electricity for business customers and distribution utilities that serve 9 million people in parts of seven southeastern states at prices below the national average. TVA, which receives no taxpayer money and makes no profits, also provides flood control, navigation and land management for the Tennessee River system and assists utilities and state and local governments with economic development. Bechtel is among the most respected engineering, project management, and construction companies in the world. It stands apart for its ability to get the job done right—no matter how big, how complex or how remote. Bechtel operates through five global business units that specialize in civil infrastructure; power generation, communications, and transmission; mining and metals; oil, gas and chemicals; and government services. Since its founding in 1898, Bechtel has worked on more than 22,000 projects in 140 countries on all seven continents. Today, its 53,000 employees team with customers, partners and suppliers on diverse projects in nearly 50 countries. www.bechtel.com. B&W cautions that this release contains forward-looking statements regarding our ability to obtain funding that will support accelerated development of B&W mPower; the expected timing of the administration of the DOE funding program; mPower America’s ability to revitalize the U.S. commercial nuclear manufacturing infrastructure and create a significant number of new jobs; our optimism regarding our ability to deliver B&W mPower with the DOE’s support; our commitment to maximizing the return on the DOE funding; our expectation that the DOE’s selection will accelerate the market adoption of B&W mPower and the creation of U.S. jobs and exports; and other statements about B&W mPower, to the extent such statements relate to management’s expectations and plans regarding the design, specifications and implementation of the B&W mPower reactor. These forward-looking statements involve a number of risks and uncertainties, including, among other things, adverse changes in U.S. Government appropriations; our inability to finalize terms and conditions on SMR funding with the DOE; our inability to finance B&W mPower research and development efforts; and adverse changes in the demand for or competitiveness of nuclear power. If one or more of these or other risks materialize, actual results may vary materially from those expressed. For a more complete discussion of these and other risk factors, please see B&W's filings with the Securities and Exchange Commission, including its annual report on Form 10-K for the year ended December 31, 2011 and subsequent quarterly reports on Form 10-Q. B&W cautions not to place undue reliance on these forward-looking statements, which speak only as of the date of this release, and undertakes no obligation to update or revise any forward-looking statement, except to the extent required by applicable law. I've added a very large number of links in the right sidebar, for the convenience of APR readers who wish to be able to get right to plant-specific information. I'll briefly summarize the links. 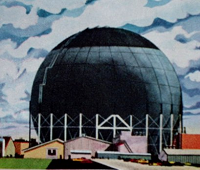 I've added links to the major nuclear plant designs being offered today for commercial service; this includes direct links to the Westinghouse AP1000 site, GE-Hitachi's various designs, AREVA's various designs, and so forth. Notable in the addition of these links is the addition of links to all presently offered plants from South Korea - the standardized OPR1000 and the advanced APR1400 being built both in South Korea and in the United Arab Emirates. I've also added links to official web pages covering the reactor plants used in Russian-offered VVER-1000 and VVER-1200 pressurized water reactor plants. Of special note, and requiring some description, is the link titled "MIR-1200 Russian Co-Op Projects." This general design plan covers plants built cooperatively, and includes the completion of unfinished plants. This not only applies to the Temelin Units 3 and 4 but is offered for other sites in various parts of the world. The links under "China" are first for the co-operative (technology transfer) AP1000 projects ongoing inside China with Westinghouse, and then are for the planned indigenously designed and built CAP1400 nuclear station to follow - for new build in China and for export. Unfortunately, the CAP1400 page is not very detailed; I have better technical information in a brochure obtained directly from CNNC representatives at the ANS National Meeting / Nuclear Technology Expo from this past summer, which I may get on the site at some point. There are also links to the various SMR projects newly added; finally, some direct links to various blogs and sites are also new. I will be adding more links of interest as I get the time. 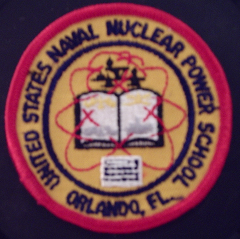 Readers of Atomic Power Review likely saw the posts on ANS Nuclear Cafe covering various meeting events, as well as live Twitter commentary on various sessions by the ANS Twitter feed, my own, Steve Skutnik's, and others. Now that I'm back, regular articles and posts will again appear here at APR. The last session I attended at the ANS 2012 Winter Meeting was a series of fascinating lectures on various papers covering the FSR molten salt cooled, discrete fuel element reactor concept. Due to complications, all of the papers (which were co-authored by many graduate students at MIT) were delivered by Charles Forsberg and Edward Blandford. The concept is not near the hardware stage yet, but a great deal of theoretical work has been done and is underway in a number of quarters. I found that ending the long week on a forward looking and in ways futuristic manner was quite satisfying - especially since much of my week was devoted to Fukushima Daiichi. I'll begin posting again here at APR this week, so keep an eye here and on ANS Nuclear Cafe as well for the Winter Meeting wrap-up. It's almost time for me to fly off to San Diego, California for the ANS Winter Meeting and Nuclear Technology Expo. Click here for details about this great event! I will be working for ANS reporting on various events and topics at the meeting, which will include but isn't limited to reporting on technical presentations for the ANS Nuclear Cafe blog (for which I already write, as many of you know) and doing live tweets of other sessions under the ANS banner, which you can find on Twitter as @ans_org. I will also do tweets under my own 'handle' which is @atomicnews. (The official hashtag for the meeting is #ANS12 or #ans12.) There will also be blog posts about what's going on behind the scenes and / or things that 'just come up' if they're newsworthy. For those who aren't aware, I work under contract to the ANS .. and I'm also, of course, a member! I will be leading the Social Media meeting on Wednesday, which will be held in the ANS Media Center at 12 Noon. The time available for this is one hour. If you are wondering whether or not your, or your company, can benefit from the use of the various social media to communicate about nuclear you need to attend this meeting or send someone to it. Further, if you or your company already does use social media effectively .. or ineffectively .. attend the meeting or send someone and let us know. Either we can help you.. or you might just bring up something everyone there can take away and apply in their own work. Here is the ANS Nuclear Cafe post on this meeting. I'll also be at the ANS Public Information Committee meeting on Sunday as a participant; I have a couple of short presentations to give and Dan Yurman, who cannot attend, has authorized me to sit on the Committee by Proxy. THANK YOU, Dan! So, keep an eye on Atomic Power Review and on the ANS Nuclear Cafe. There will be multiple posts on the ANS blog from a number of authors, and I will probably be posting a few interesting things here that aren't under my ANS contracted duties. Looks like I'll be quite busy in sunny, warm San Diego. It's a rough job.